Your home needs maximum exposure to a broad audience in order to sell. While traditional print marketing is important, it is the value of your agent’s network that will define your success. Our unique business model and all-encompassing marketing program includes an aggressive and proven networking approach. We successfully reach out far and wide to find buyers for your home and have one of the largest pipelines for buyers to find a home. Our own Rocca Sisters & Associates client network includes over 500 active, qualified buyers who receive first access to our properties coming onto the market. We also have an extensive online presence with nearly 1000 Facebook followers and over 2300 followers on Twitter anxiously awaiting news about our newest Rocca Sisters listings. 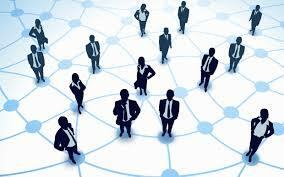 Furthermore, the Rocca Sisters & Associates have built an extensive local and national professional network. We are personally connected and interfaced with a multitude of real estate professionals throughout the country. As members of the Royal LePage National Chairman’s Club, we are networked with the Top 1% of Sales Representatives across Canada for all of Royal LePage. Being ranked #1 Sales Team in Burlington and area for Sales Production and Volume for four consecutive years (2010-2013), strengthens this network by increasing the traffic of more buyers, sellers and industry professionals. As a Royal LePage Realtor, we have access to superior Canadian, International and Corporate Referral Networks which gives your property exposure to buyers from around the world. Royal LePage is also the exclusive Canadian member of Leading Real Estate Companies of the World, the world’s largest referral network. In addition, we are networked with Royal LePage Corporate Relocations – the largest and most dedicated relocation company in Canada. For more information on our trusted, unique and proven approach, visit our website, http://www.RoccaSisters.ca. To watch testimonial videos from our many satisfied clients, visit our webTV channel, http://www.RoccaSistersTV.ca. We look forward to delivering you an experience that is not just the best, but remarkable!